mSora Blogger Template is a blogger theme designed for a personal blog. If you are bloggers, travelers, instagram lovers or you have story to tell, mSora blogger theme can be what you are looking for. 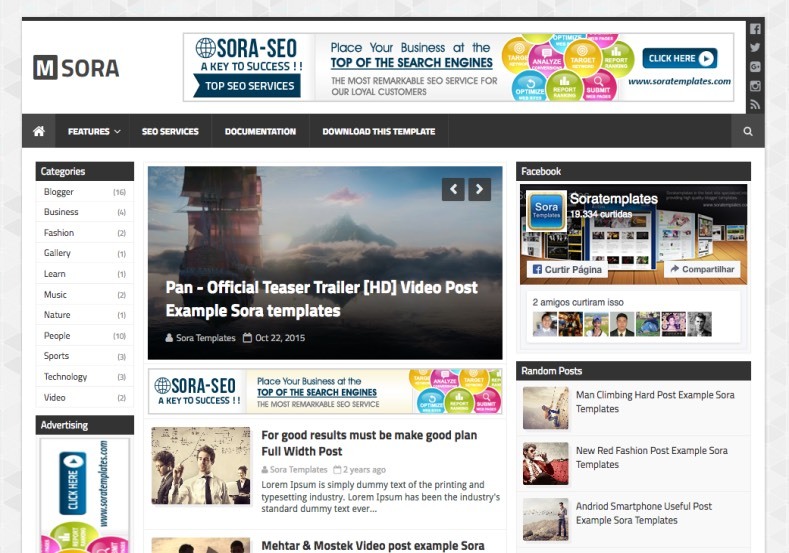 mSora giving you the power to customize your blog with stunning visual editor and with a huge number of options. Popular features such as a full-width post area, featured area slider and carousel. Unique navigation style with drop lines. Delightful parallax effect. mSora clean, delightful design is guaranteed to wow effect!